Important: You must install a standalone program, the Second Life Viewer, to enjoy the rich 3D content in Second Life. The installation process is quick and easy, but your computer must meet the System Requirements. Second Life will not run on systems that fail to meet these requirements. Follow this quick three-step process to register for and install Second Life. Your avatar is how you will appear in Second Life. You can choose from a wide selection of avatars, and if you change your mind later, don't worry—you can select a different avatar any time you want! Once you learn Second Life, you can also customize your avatar to your heart's delight, or pick from a vast selection on the Second Life Marketplace. Your username is the account name that you use to log in to Second Life. It has to be unique, so you may not get to choose a simple or common name. Later, you can also choose a display name that everyone sees in addition to your username. For more information, see Usernames and Display names. Warning: Choose your username carefully! Once chosen, you can't change it. Although you can designate a "display name," your username will still be visible, and others may use it to refer to you. Fill in your remaining account details including your email address, date of birth, and password. Make sure to use a memorable security question in case you forget your password! Note: When you create your account, you will receive a message in your email asking you to verify your email address. Verify your address in order to receive offline messages from other Second Life Residents. Choose a free basic account, or sign up for a premium account for as little as $6 per month. With a premium account, you get your own private Linden Home (if you're at least 18 years old), virtual currency rewards, exclusive virtual goods, and many other benefits. For more information on premium accounts, see Premium membership in the Second Life Knowledge Base. If you choose a basic account now, you can always upgrade to premium membership later. To enjoy the rich 3D content in Second Life, you must download and install the Second Life Viewer, an application that runs on Windows and Mac OS. 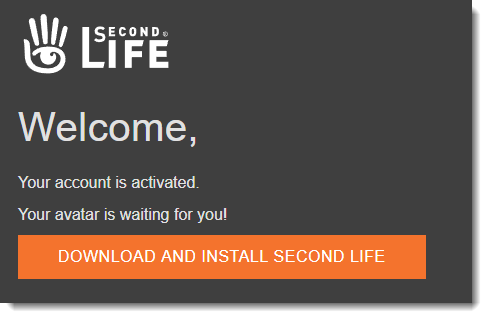 Most web browsers will download the installer automatically; if that does not happen, just click Download & Install Second Life. Now that you've registered for Second Life and installed the Second Life Viewer, you're ready to start your adventure in the virtual world—or "inworld," as we call it. 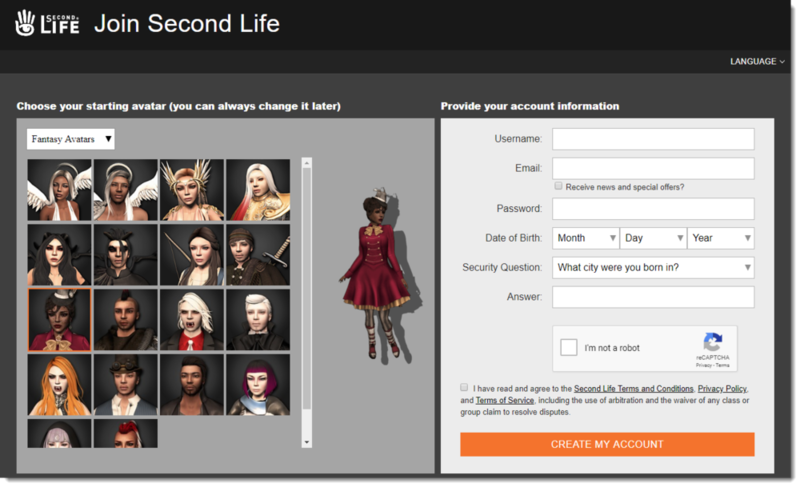 Start the Second Life Viewer and then log in to Second Life by entering the username and password you selected when you registered. If you have problems logging in, see Login failure in the Second Life Knowledge Base. The first time you log in, you will be in an area known as Learning Island, set up especially for new users. Follow the signs and simple instructions to learn the basic skills you'll need. The following sections describe the most important parts of the Viewer and how to get the most out of your experience. 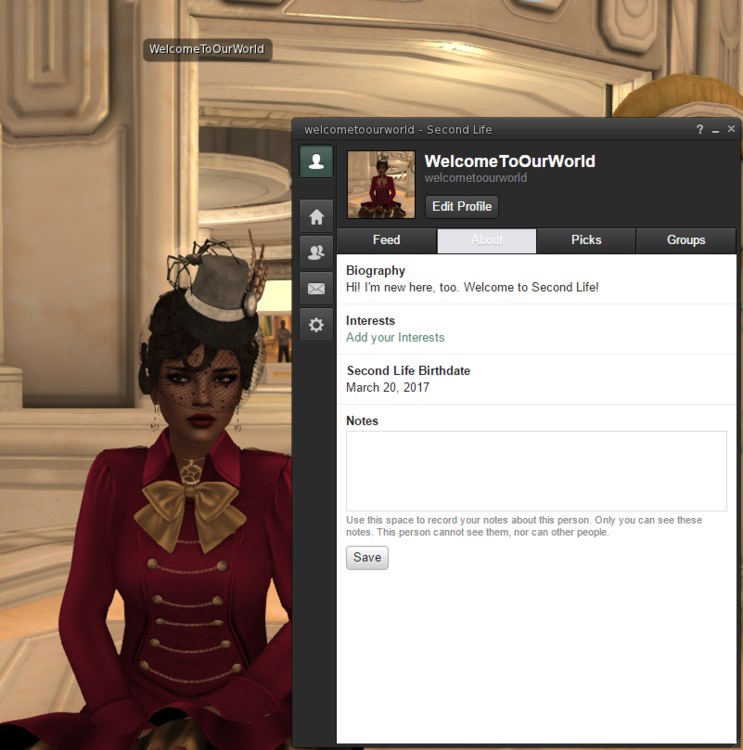 To help you get going, I'll give you a quick introduction to the Second Life Viewer, the program you use to experience Second Life. Click the Walk/Run/Fly button to open the Movement controls. You can click which direction you'd like your avatar to move, as well as toggle between walk, run, and fly modes. Flying in Second Life is really fun, and it lets you move around much faster than you can by walking or running. Use the same keys to move through the air as you do to walk. Note: Some regions don't allow flying. 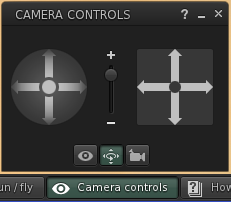 In these areas, you'll see this icon in the location bar and you won't be able to fly. Click the Chat button (by default in the bottom toolbar) to text chat with people nearby. Everyone within twenty meters of you will be able to see what you type. To shout, press Control-Enter instead of Enter after typing your chat text. Everyone within 100 meters will be able to see what you type. Click Avatar to change your avatar to one of the free provided avatars. You'll be able to choose from a wide variety of avatar looks. 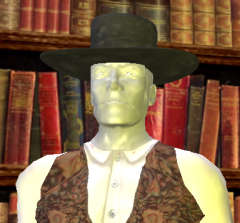 For information on customizing your avatar, see Editing your appearance. Some objects (such as furniture) automatically provide a "sit" icon when you mouse over them. Simply click on the object to sit on it. To stand up again, just click the Stand button that appears near the bottom of the window. When you hover your mouse cursor over an object, you may also see an information box, for example as illustrated at left. Click on the icon for additional options. To find out about those nearby, mouse over their avatars and click the icon that appears. Their avatar name and how long they've been in Second Life. Profile "biography" information (if they've added it). A View full profile link t osee more options and information. See the Using Profiles section. 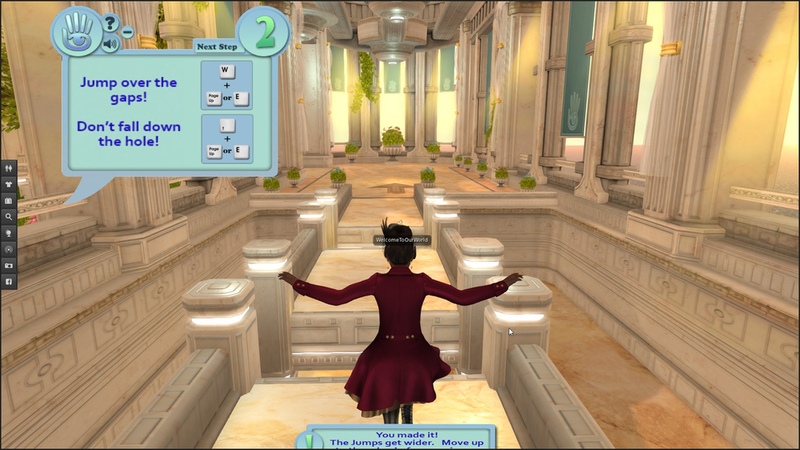 Many areas in Second Life have music playing for ambience, or video displayed on an inworld surface. 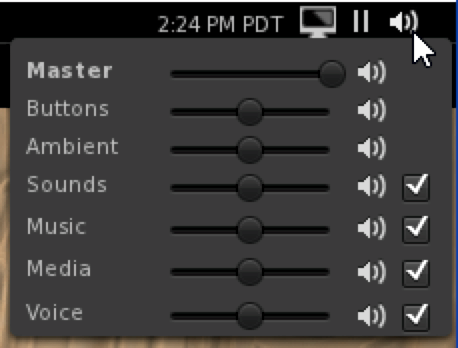 Use the controls in the upper right of the Viewer window to control the volume of the audio or, if you like, to turn it off entirely by de-selecting the box to the right. Click Destinations to see the Second Life Destination Guide. Click on a category, then click on a destination in that category to teleport there immediately. Go to http://secondlife.com/destinations/ to see more categories and destinations. 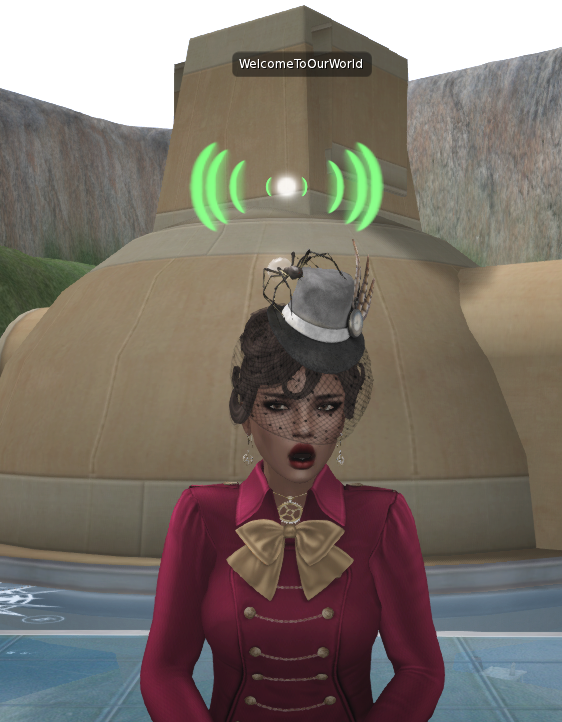 Generally, it's best to connect your audio devices before you start Second Life. After you have connected your headset (or speakers and microphone), you may need to configure your sound devices. To do this, choose Me > Preferences > Sound & Media. You'll be able to select your input and output devices and change your volume setting. If you're having trouble getting voice chat to work, see Voice chat FAQ. Note: Some regions disable voice chat. In these areas, the Speak button will be dimmed, and you won't be able to use voice chat. To make someone your friend, mouse over their avatar, click the and choose View Full Profile, then click the Add Friend button. This person will receive a friendship request: if they accept it, then they will be on your friends list, and you will be on theirs. 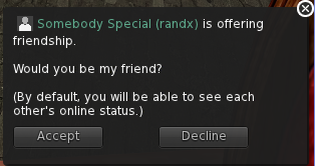 If you click Accept, your new friend receives on-screen notification that you have accepted the friendship offer. If you click Decline to cancel the offer, the other person receives a notification that you declined the friendship offer. Tip: Strike up a conversation or have some interaction before asking someone to be your friend—it's good manners! MY GROUPS shows information on your Second Life groups, which are like clubs. See Groups overview for more information. Click to see more information about the person; then click View full profile for more options. Click Me > Profile to edit your profile. Use your profile to express your personality and interests. You can also share things with your friends and see things they share with you, similar to social networking sites. You can link your Second Life profile with your accounts on Facebook, Twitter, LinkedIn, and other popular social networks. To view someone else's profile, mouse over their avatar, click , then click View full profile. You'll be able to see the things they have allowed based on their privacy settings. Click Edit Profile to customize your profile settings. Once you've mastered the basic skills covered in this article, you're ready to move on to learn the full richness of the Second Life experience. 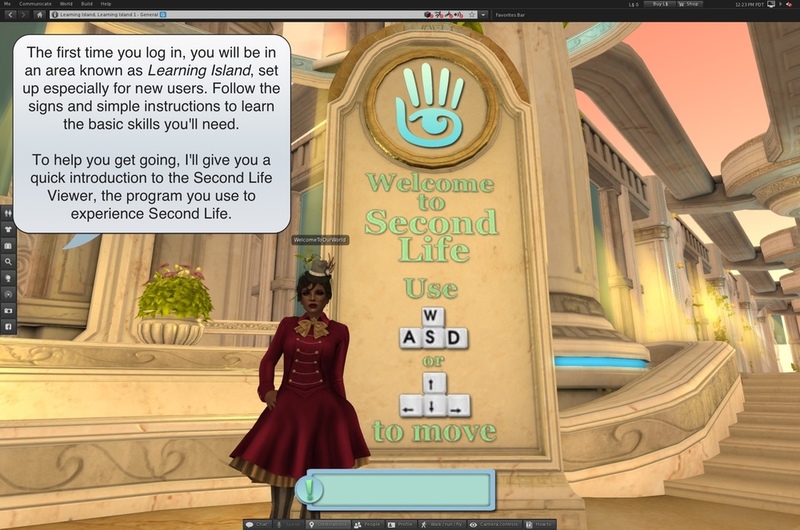 Have a look at the Second Life User's Guide.